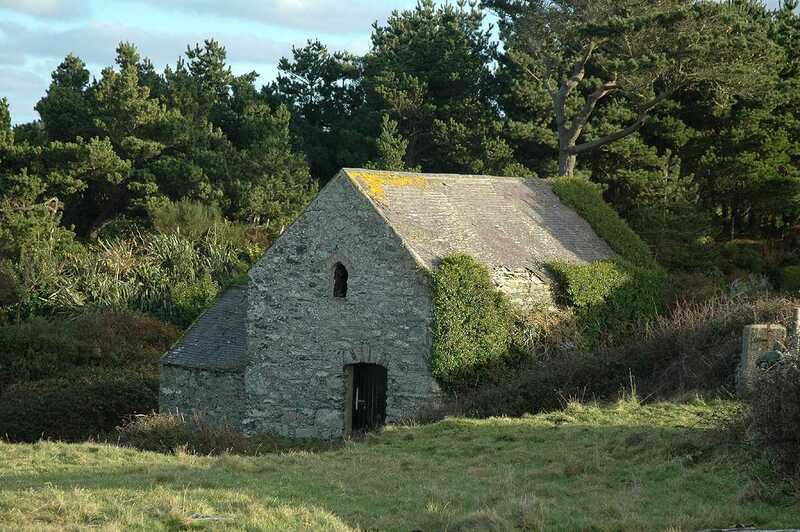 Cemlyn - Felin Cafnan Water Mill - (once known as Melin Cathaern) on the Isle of Anglesey (Ynys Môn) in North Wales. 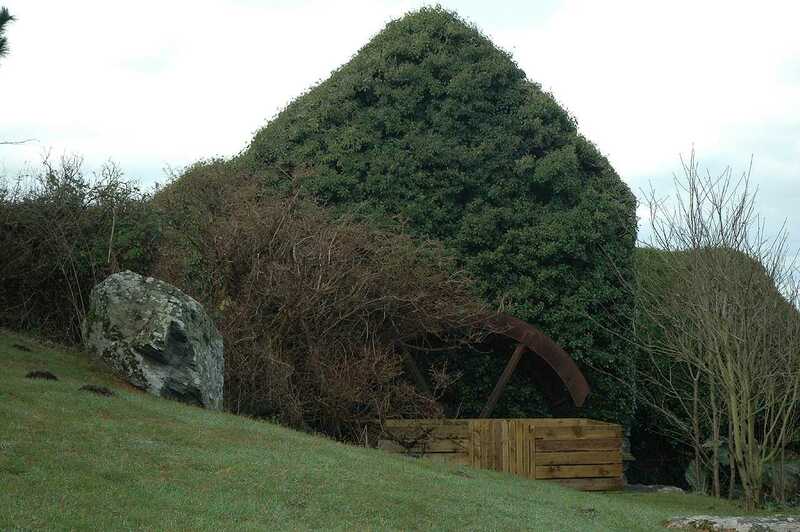 Cemlyn, Felin Cafnan Water Mill - with Cestyll Gardens behind. 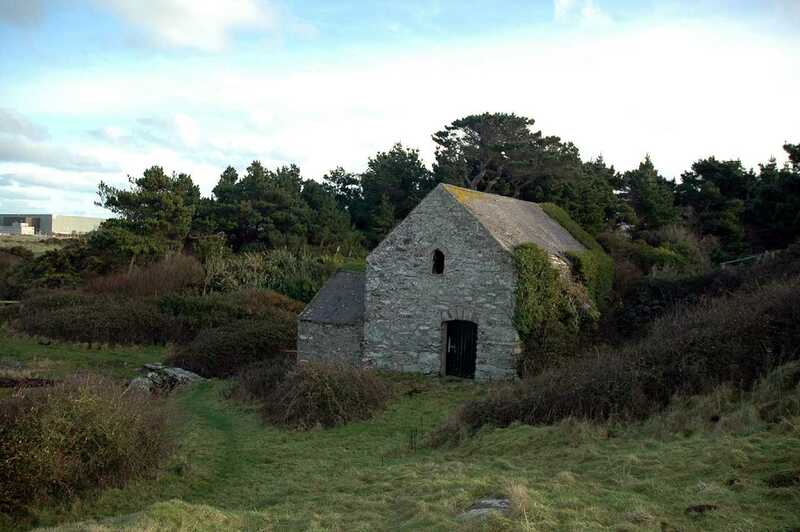 The present building - once a water powered corn mill - was built at the beginning of the 19th century, although the machinery inside all dates to around 1840. 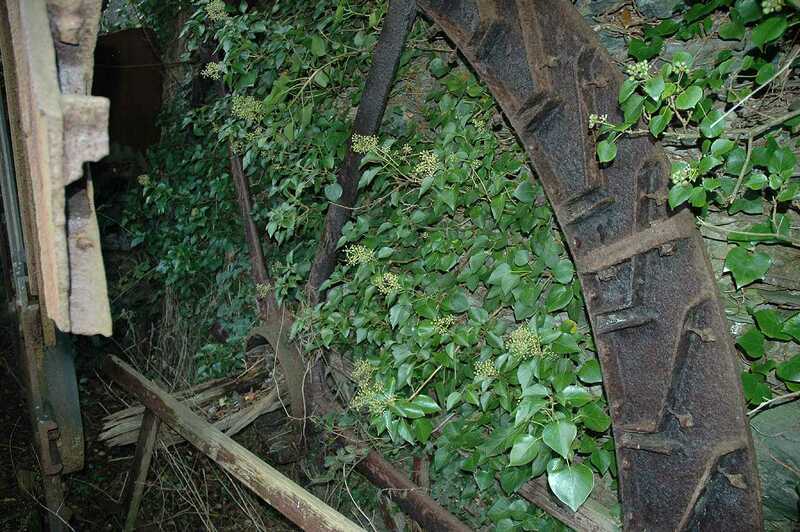 The over-run water wheel is of cast iron, and is broken in parts. 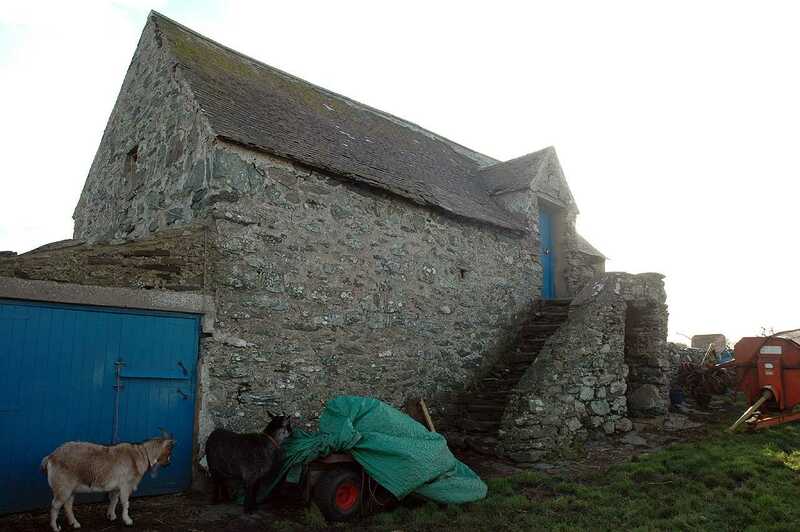 All of the wooden blades / buckets have rotted away. 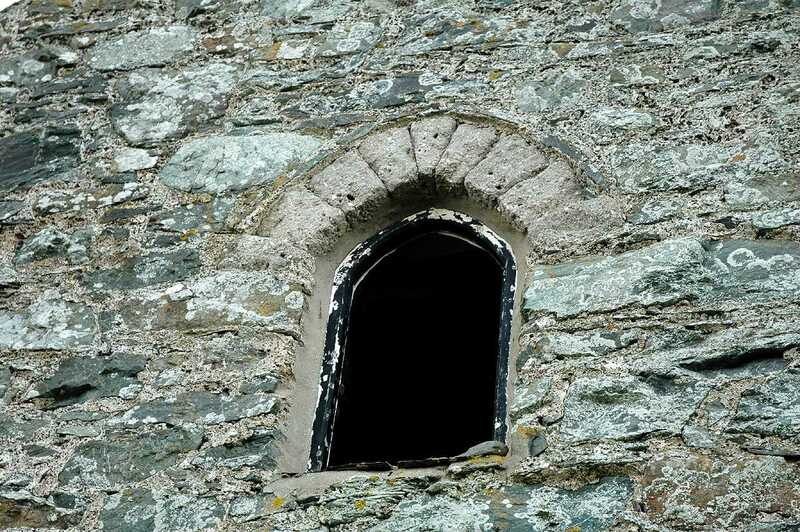 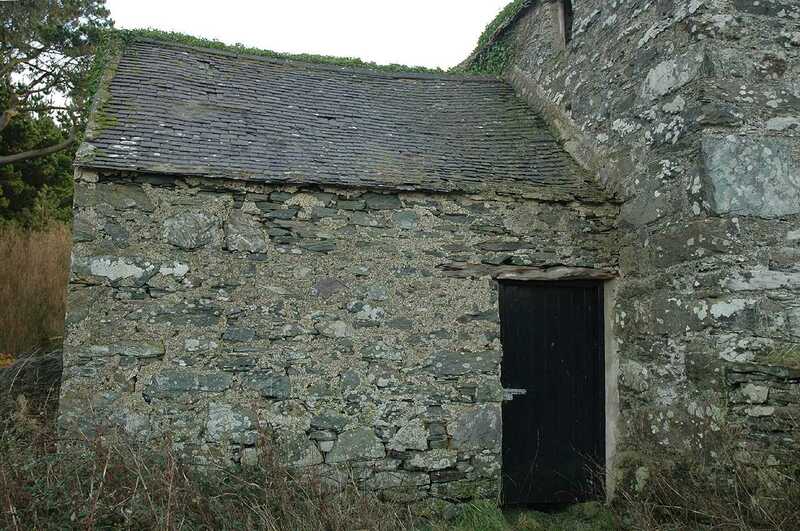 There has been a Mill here since at least the year 1352, when it was mentioned in the Extent of Anglesey. 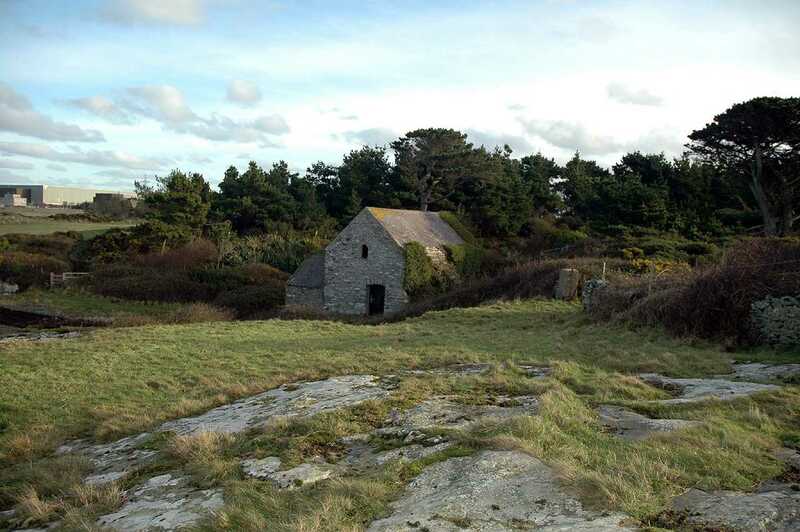 Mention of the Mill historically as named it as Cathaern, Cafnan, Kafnan, and Gafnan. 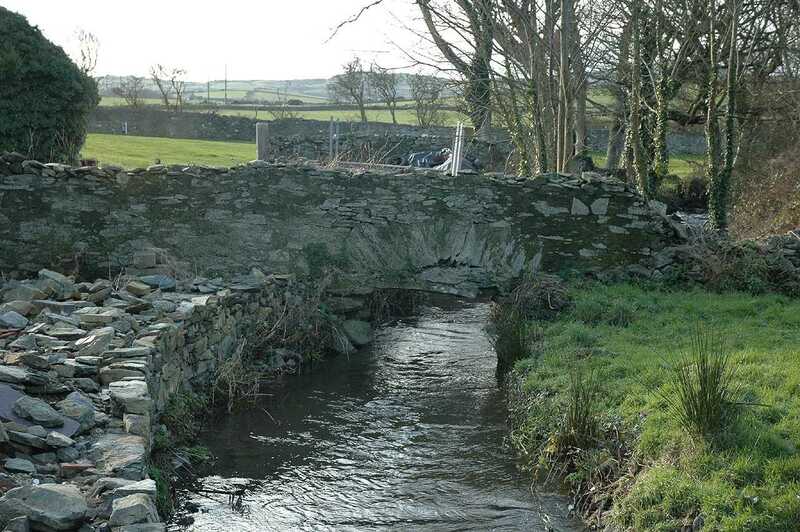 The Mill was once controlled by a sluice gate, and powered by the Afon Cafnan River. 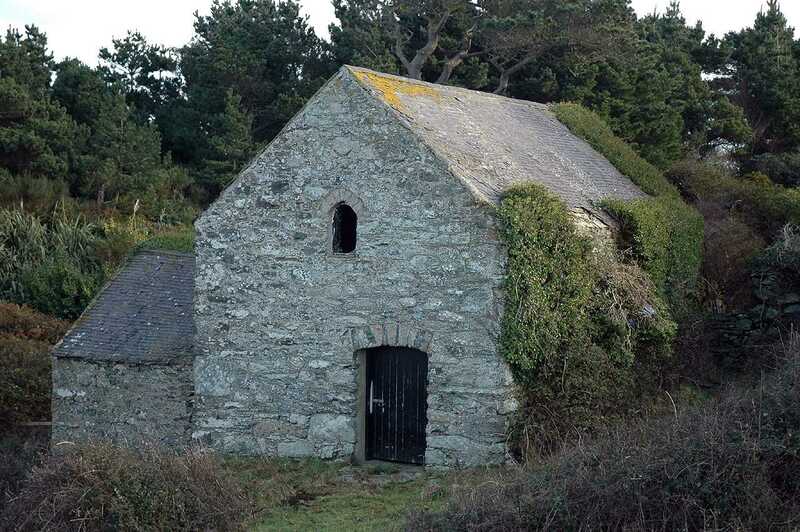 The Mill has been in the ownership of the Mostyn family, also in the 1680's - Ambrose Lewis - one time High Sheriff of Anglesey, and then Lord Dinorben. 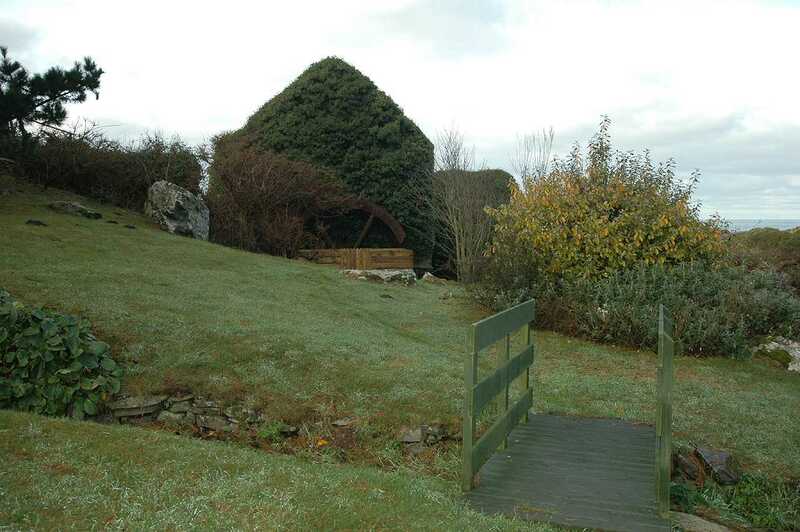 The Mill is partly on the renowned Cestyll Gardens designed by Violet Vivian after it was gifted to her by her uncle - Lord Dinorben. 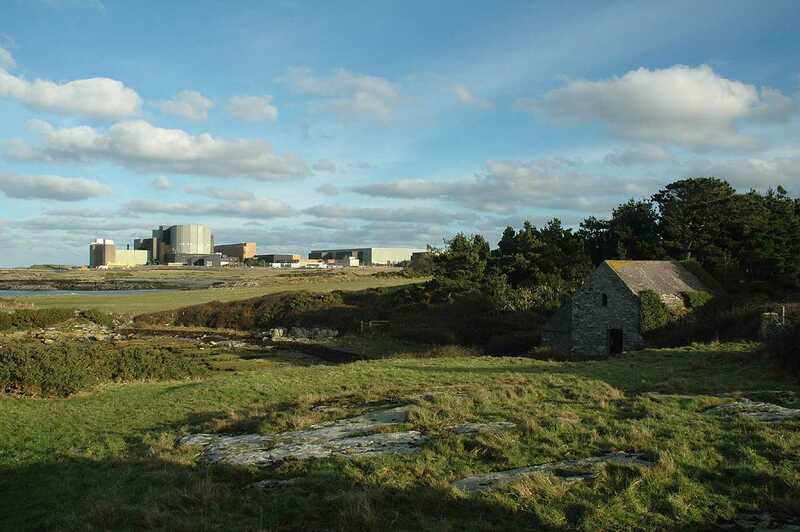 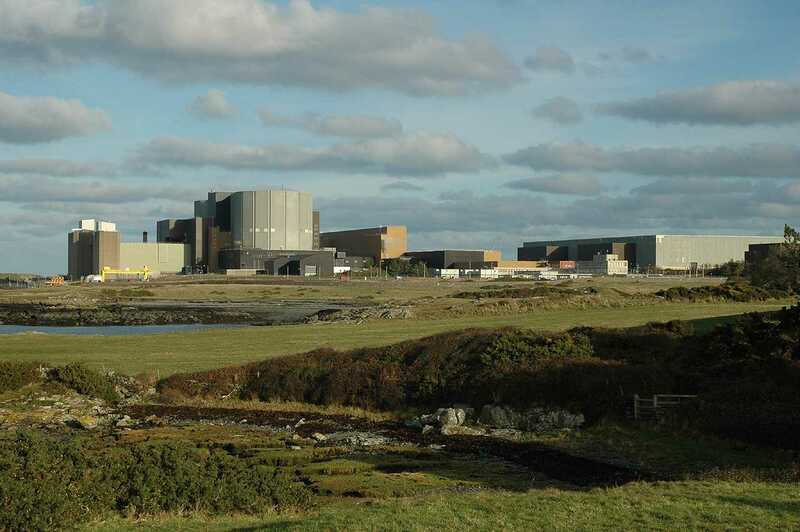 Now in the ownership of Magnox, who own the nearby Wylfa Nuclear Power Station. 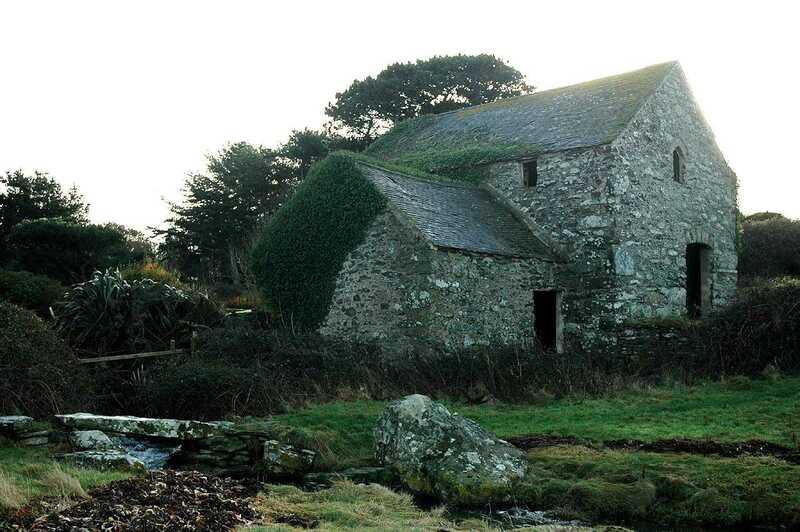 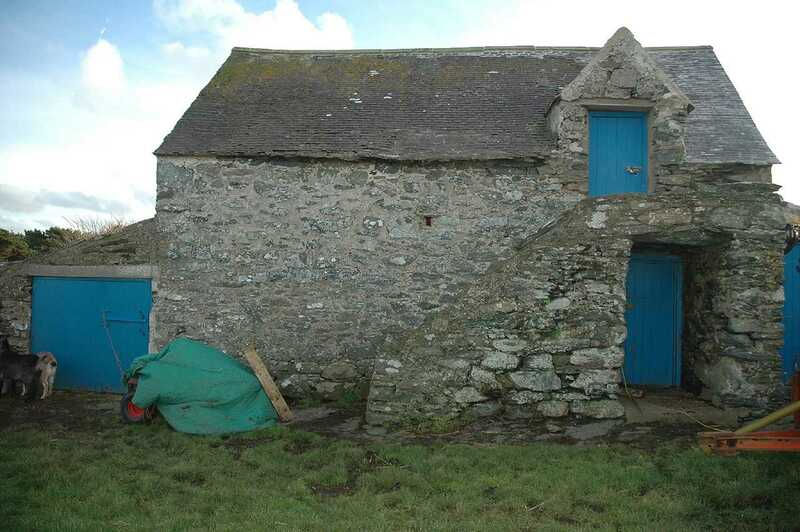 Felin Cafnan Water Mill is located right on the Anglesey shore, just yards from the Irish Sea. 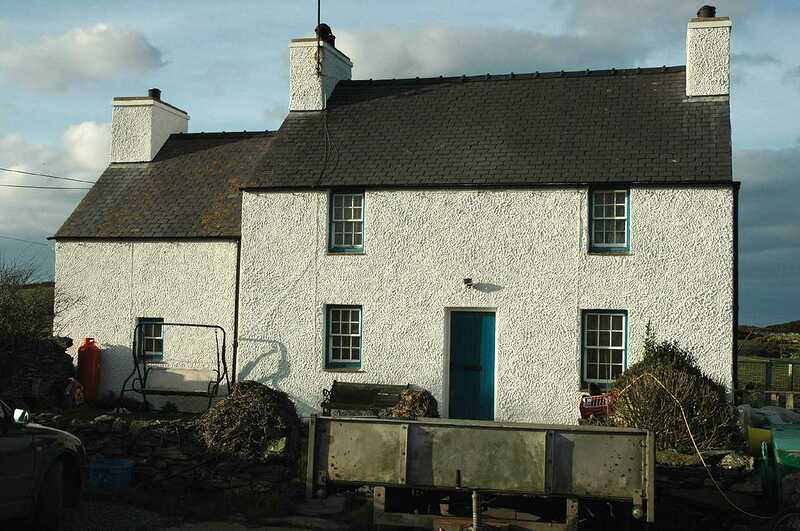 In 1841 the Miller was Robert Owen, who lived in the Millers House with two servants. 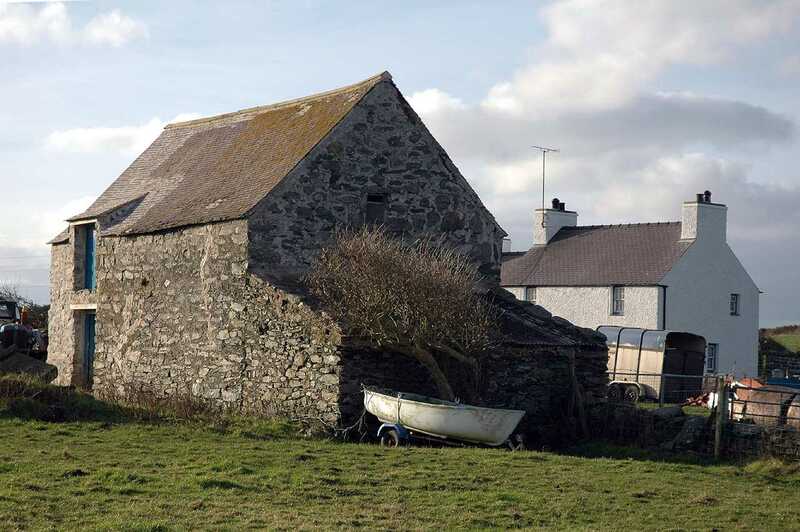 Thirty years later on the 1881 census the same Robert Owen was still the Miller - now aged 70 - and living there with his wife, two sons and a daughter - Robert was born in Holyhead.